T2499PT 24v DC power supply for use with B3003RGBA microLED, ERU010-01A micro underwater light and both the E995RGBF Opal and E993RGB Quarts RGB walkover lights. 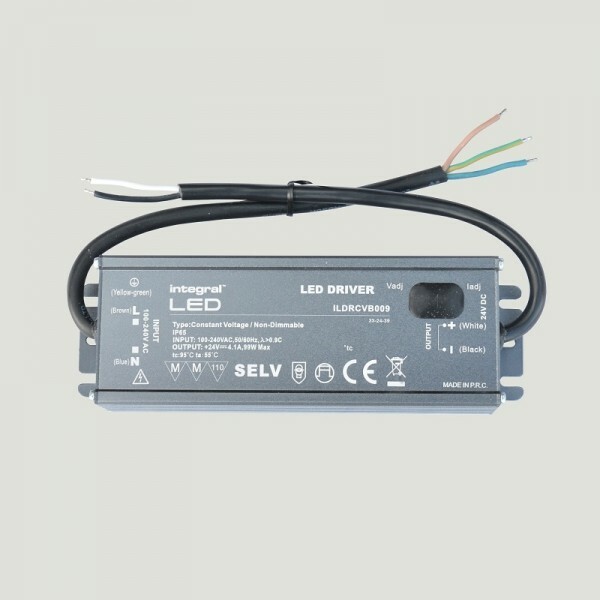 Supplied with a 200mm sheathed 240v input (PRI) cable and a 200mm sheathed 24v output (SEC) cable allows you to install the T2499PT directly to a wall or garden post without the need for an IP rated junction box. All connections should be IP rated. 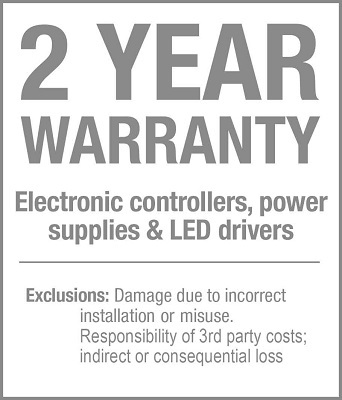 Unauthorised adjustment of the voltage and current settings will invalidate warranty. Select a suitable location above the ground. Mark off fixing positions and drill or screw power supply directly to the surface. Make sure power is disconnected. Make sure all connections are made to a suitable IP rated standard.